Dr. Matthew Miller of Miller Mobile Veterinary Services and Pastor Johnny Hunt of First Baptist Church of Woodstock will join The Weekly Check-Up in Cherokee county for an on-site interview with guest host Dr. Scott Miller. We’ll discuss the advantages of Dr. Matthew Miller’s mobile veterinary clinics in the first hour, and talk prostate cancer with Dr. Scott Miller and Pastor Johnny Hunt during the live Prostate Screening at First Baptist Church of Woodstock in the second hour! Dr. Matthew Miller and his family have resided in the Metro Atlanta area for over 20 years. After graduating from Georgia Tech with high honors, Dr. Miller attended the University of Georgia School of Veterinary Medicine. In 2003, Dr. Miller began private practice for both small and large animals in Lawrenceville before moving to Marietta and focusing on small animal medicine. Honored as one of Atlanta’s “Best Vets” in the 2010 November issue of Atlanta Magazine, Dr. Miller has earned a reputation for his compassionate, friendly manner and his skill as a surgeon. In August 2012, Dr. Miller opened Miller Mobile Veterinary Services, based in Marietta, Georgia and servicing the Metro Atlanta area. 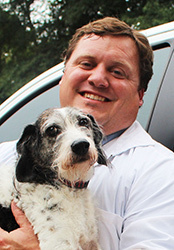 Learn more about Dr. Matthew Miller at www.MillerMobileVet.com. Others. That singular focus summarizes the last 25 years of contagious passion that Pastor Johnny Hunt has imparted to First Baptist Church Woodstock and the countless lives across the globe through preaching and shepherding. While the church has experienced significant growth under his leadership, it is growth of the person, not the platform that continues to energize a ministry that sees its best days ahead. Pastor Johnny’s educational credits include a BA in Religion from Gardner-Webb College where he was voted “Ministerial Student of the Year” in 1979. He continued onto Southeastern Baptist Theological Seminary where he earned a Masters of Divinity in 1981. Southeastern honored Pastor Johnny in 1997 by naming The Chair of Church Growth in his honor in 1997. He has also received several honorary Doctorates over the years for his work in ministry. Pastor Johnny, a prostate cancer survivor, has hosted a Men’s Conference for the past 22 years dedicated to men’s health and the impact it has on the family. More than 3,000 men attended the most recent event! Pastor Johnny also heads a large charitable effort for children in Haiti, focusing on nutritional food and education. 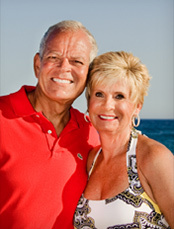 Learn more about Pastor Johnny Hunt at www.FBCW.org. Learn more about guest host Dr. Scott Miller.